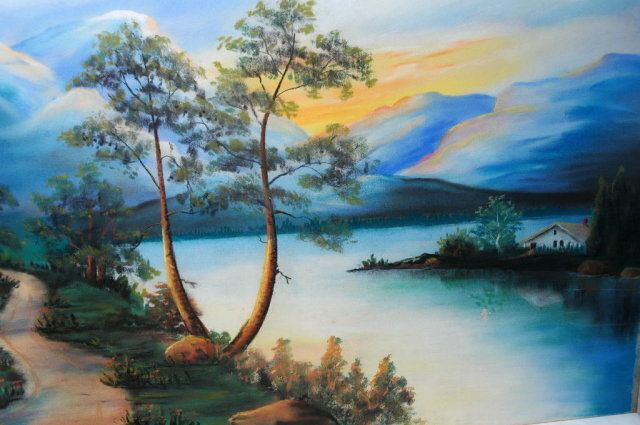 Beautiful rich colors here in this original pastel painting. It is a quaint river scene featuring a cottage on the right and to the left is a trail. The river terminates in a larger body of water presumable a lake. It the back ground are snow capped mountains. The condition is very good. There are a few insignificant flaws here and there that are small and don't take away from the overall look or feel of the painting. It is a pastel therefore is is fragile. I am selling it as is without the fram or glass. It has been treated with fixative to protect again smears. 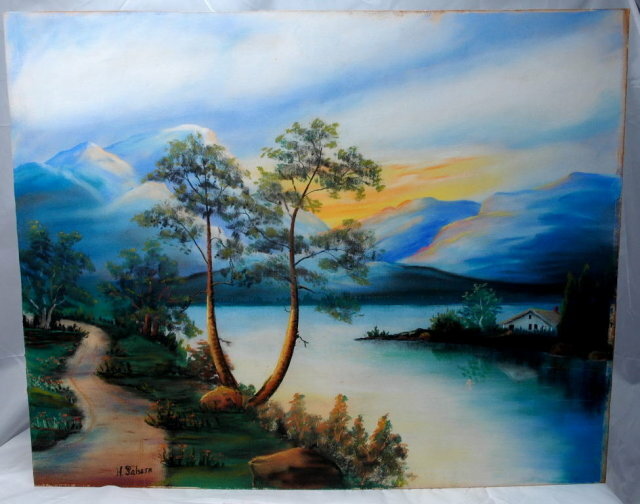 Items Similar To "Rich Pastel Landscape Painting Cottage, River, Mountains Signed"